I’m sure you’ve heard it time and time again, but it’s important - incorporating video into your overall marketing strategy is an absolute necessity. But like most things we need in life, it doesn’t always come easily. With that being said, you can no longer avoid video marketing, in fact, you should embrace it. Reports suggest by 2019 80% of all web traffic will be video, so what does that mean for your business?It means if you fail to create video content, you’ll have less traffic and leads coming your way in the long run. -- And no one wants that. Earlier this month we told you how to get started with video marketing and a lot of it involves a “just do it” attitude, but while this enthusiasm is important, spontaneity can often lead to a mistake or two. It’s easy for businesses and marketers to misstep when trying something new - which is why I felt it necessary to point out 7 major, but common video marketing mistakes and how you can avoid them. It’s happened to me and I’ll bet it has happened to you - you’re watching a video on YouTube which ends up serving a sales pitch that has nothing to do with you. What do you do? Well, you probably tune it out or even close the window. How to Avoid: Create Videos That Target Each Stage of the Buyer's Journey. You need to take a step back - look at your buyer personas and the buyer's journey. What are some frequently asked questions they might be asking when researching? What do they want to know right now? Like any content you create, your videos should be informative to help guide your leads through their journey towards making a buying decision. If you’re focusing on a video for the awareness stage, for example, you should provide introduce your brand and offer some educational background on your service or product. In the consideration stage, your leads are starting to do more research on what will solve their problem, so, create videos that provide comparisons to show your audience why your product or service is better than their competitors. Lastly, for the decision stage, testimonials, product demos, or tutorials can all guide viewers towards making a purchase. Search engine optimization (SEO) doesn’t pertain to video, right? Wrong. If you’re leaving out an SEO strategy around your video content - chances are you’re not going to be found by potential buyers. How to Avoid: Optimize Your Title, Description, etc. Also, don’t forget to create a video sitemap. This is an excellent way to inform Google (or other search engines) of where your videos live and specifically what they’re talking about. When looking into descriptions and titles, utilize YouTube’s auto-suggest results. Begin by searching for a specific keyword/term relevant to your video content and you’ll find the most popular search terms are auto-filled. You’ll see long-tail options which can help you determine what you should incorporate into your title and description or even give you ideas for future videos. Like they do in written content, long-tail keywords in videos often drive more qualified traffic for less competitive keywords. In the awareness stage especially, it’s essential to create videos that people will actually want to watch. Think about when you stumble on a video in your newsfeed; what keeps your attention? It’s going to be a video that provides value and information on a certain problem that you are experiencing. Remember, in most situations, especially on most video platforms, people aren’t looking to be sold to - they’re looking to be educated, find answers to their problems, and even be entertained. Creating educational, helpful video content doesn’t mean just solely focusing on hard numbers and facts. You need to use video as a way to tell a story; share knowledge that is going to resonate with your audience while addressing their pain points or interests. It’s essential to directly hit on your buyer’s concerns and provide answers that will be helpful. Maybe it’s a testimonial someone gave about their journey and how your service or product was a game changer, or maybe it’s something that pulls at someone's heart strings and leaves them thinking about your brand’s role in that all day. These are both great pieces of content for moving someone through the buyer’s journey. Lastly, think about what kind of video content someone would want to share with their friends or family. The more value you’re providing to your audience the more likely someone is going to want to share your video. So, you’ve created this exceptional, targeted video content but you provide no opportunity to capture their information and help guide them to make a buying decision. Big mistake. You may have just lost your next sale. Say someone is watching your video and they’re really intrigued with what you have to say- you’ve now educated the viewer with your video content, and there's a good chance they’re interested in learning more. Unless you provide a button to click, URL to visit, or even number to call, how will they know what to do next? If you don’t give them a follow-up action either (through a clickable button or a verbal call) to take with your brand, they are unlikely to take any action. I’m sure I’m not alone when I’m researching something on YouTube and end up in a black hole of recommended videos and forgetting where I even started. As entertaining as it can be, it likely won’t do anything for your brand (unless the videos are all yours). That’s why, as mentioned above, it’s important to include a call-to-action (CTA) in your video driving the viewer to take action with your brand, for example, subscribing or visiting a customized landing page on your website where you can capture their contact information. Some video platforms, like Wistia, allow you to include pop-out calls-to-action or embed contact forms directly in your video. Also, be mindful as you’re deciding placement of your CTA and test it out to see what has the highest conversion for you. Best practice in terms of placement tends to be mid-roll. 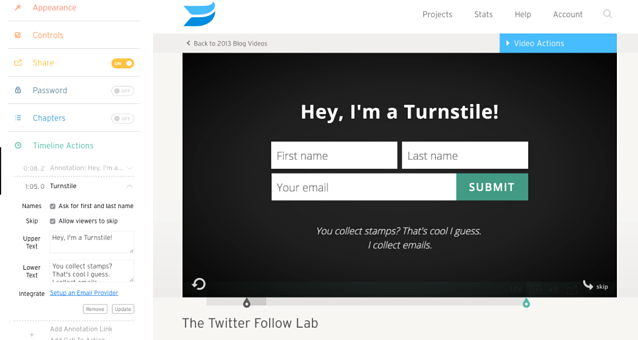 If your platform doesn’t allow you embed CTA’s within your video you can always include a verbal CTA. With smartphones and YouTube, it’s so easy to film and edit high-quality video, so don’t neglect this. You don’t have to invest in the most expensive equipment to create a high-quality video, but there are a few professional techniques that will help. For example, use a tripod or “t-rex arms” to help with stabilization - no one likes shaky video footage. Lighting can also be a game-changer. Use natural light whenever possible, but if not, consider using direct lamps to provide optimal lighting for the person or object you’re filming. This will help you control shadows and contrast. On the other hand, using basic three-point lighting will help give your subject more dimension and overall make your video quality look more professional. Poor audio can also be a quick turn-off for viewers. Be mindful when choosing where to record, making sure to pick a space without chatty employees or loud ambient noises. Lastly, consider investing in a microphone. You want to make sure your camera is picking up a clear and audible recording, but if you aren’t using a microphone it could be more difficult. This might be something you didn’t take into consideration at the beginning of your video journey - but it’s essential in getting the most out of your efforts. When looking into what platform you’ll be using you need to be aware of what each platform can offer you to make sure your goals are aligned and that you’re setting yourself up for success. Are you looking to gain more awareness? If so, you’ll want to make sure the platform you’re choosing helps you drive more traffic towards your video content. Are you more concerned with conversions? Then a platform that doesn’t offer forms might not be the best choice. Look into video platform options that will be a good fit for your business and video marketing goals. Is your initial goal to gain awareness? Hosting your videos on YouTube and Vimeo are great places to start, in that they really help with your organic traffic as people are searching for specific keywords. Awareness is important, but conversion is also a factor to consider. You should be capitalizing on the interest your viewer has in watching your video by collecting their contact information to further nurture through the sales funnel - this is where looking into a platform like Wistia would make the most sense. Video marketing platforms also allow you to track your analytics - which, as we mentioned earlier is critical in identifying how to be most effective in your video endeavors. 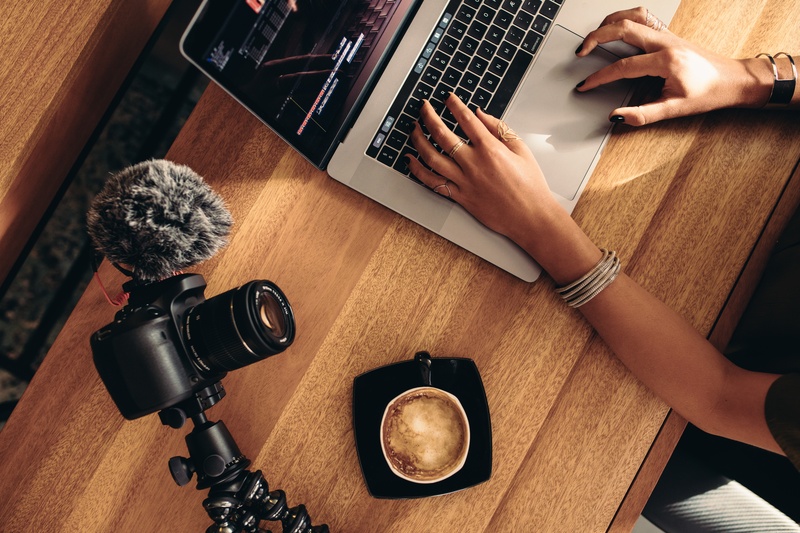 Check out this super informative blog post if you’re interested in learning more about where to host your video content: Where Should I Host My Marketing Videos? The last thing you want to do with anything in digital marketing is set it and forget it. No matter what content you’re producing, whether it’s social posts, blogs, or videos you should constantly revisit what you produced to determine what’s working and what isn’t. If you aren’t looking into what’s generating traffic or resonating with your audience how are you able to effectively guide your content strategy? It’s like paid advertising - you can’t throw money at it and hope something sticks. You have to look into what is resonating with your audience and what is of zero value to them. Make it a point to check out your video analytics regularly, including views, how long people watched, clicks on your CTA, or even who is watching. All of these insights help you tailor and craft your video content to deliver more value that will help guide your viewers to make a buying decision. Wistia, for example, provides tools to help you track who exactly is watching your video, integrate with your CRM software to score leads, provide heat maps so you can see sections of your video that have been skipped over or replayed. They can even provide engagement charts showcasing your audience's behavior. Insights like these will allow you to determine what video content worked, what didn’t, and ultimately, what should be created in the future. The last thing anybody wants is to spend their budget producing video and realize it was all for nothing. Your video marketing content should never stay the same - you should always be looking at ways to improve and better serve your potential customers. Now, I know...If you have zero experience in video it can feel daunting - but I assure you creating remarkable video content isn’t as scary as it may seem. You can and will be great at it, but it’s important to make sure you don’t fall into any of the 7 video marketing mistakes. In the great words of Mark Twain, “throw out the bowlines. Sail away from the safe harbor. Catch the trade winds in your sails. Explore. Dream….. And Create Amazing Video Content” He said that right?